Culturally, the country is a unique blend of African and Colonial cultures, which have seen some of the most engaging and inspiring political reformations of modern times. 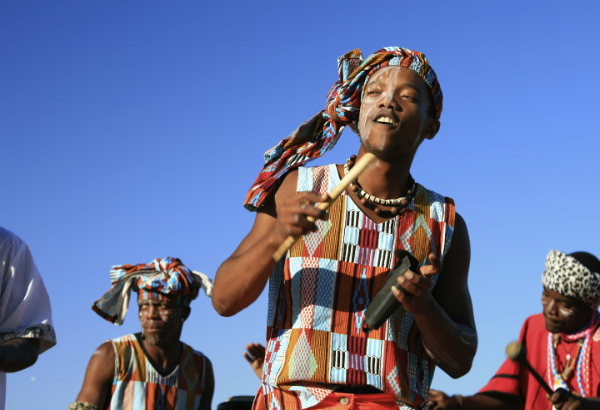 From the legacy of Nelson Mandela to the harmonies of Ladysmith Black Mambazo, South Africa is a great place to learn about the past and for cultural immersion. If South Africa is anything, it’s a place to heed the advice of those in the know. Pay attention and don’t be flashy – especially in these neighbourhoods with a bad reputation. Poverty is still a harsh reality in South Africa, so hire a normal car instead of inviting trouble by being flashy (as well as offensive). If you rent a car, try to avoid driving after dark. In recent years, there’s been a lot more highway robbery after sunset. Also, if you’re going to self-drive, be aware that South Africans drive on the left-hand side of the road. Fuel stations (called garages) are not self-service. When you drive onto the forecourt an attendant will fill the vehicle. It is customary to tip the attendant about $1 for the service. Driving yourself is relatively safe, but you might want to brush up on the local laws and waysbefore getting behind the wheel. Also, South Africa has a staggering 11 official languages, most of them indigenous to the country. Around 40% of the population speak either isiZulu or isiXhosathough almost everywhere you go you will be able to get by with English which is commonly spoken in all major towns and cities, hotels, banks, and government departments. Another major language is Afrikaans, a derivative of Dutch, which northern Europeans will find surprisingly easy to follow. Most importantly, understand that South Africa is like nowhere you‘ve ever been. The famous South African Desmond Tutu described South Africa by saying “We of many cultures, languages and races are become one nation. We are the Rainbow People of God.” In such a diverse country it‘s important to remain alert and understand the nuances of the lifestyles, but be sure to keep your head up don‘t miss a moment of soaking in a most unique worldly experience.